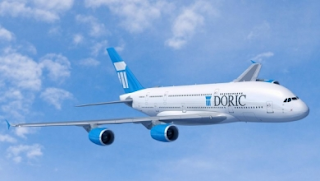 Doric Leasing Corp. has signed a memorandum of understanding for 20 Airbus A380s at the Paris Air Show at Le Bourget. Doric has a $6 billion aircraft portfolio under management, including 18 A380s acquired through sale and leaseback arrangements. Do smaller aircraft translate to savings? What now for the Airbus A340-500/600? Another jetBlue A320 sports "Sharklets"
Southwest Airlines stock - To buy or not to buy? The upcoming "Battle of Paris"